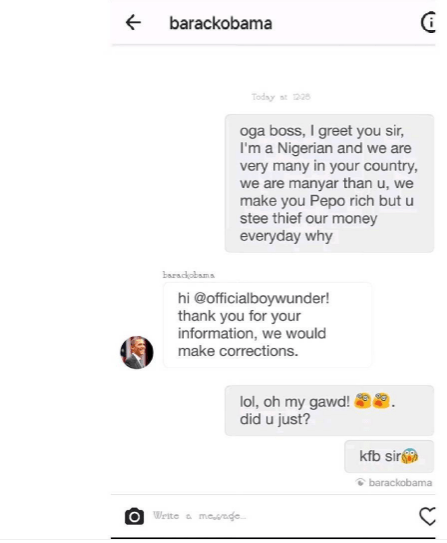 A Nigerian man took to his Twitter page to send a Direct Message, to the president of the United States, Barack Obama. The Nigerian in his message informed Obama of the nation’s population and also alleged that the United States was taking from the country. However, in a rather surprising turn of events, the United States President replied him. Yo, that’s what’s up tryhuftllu.